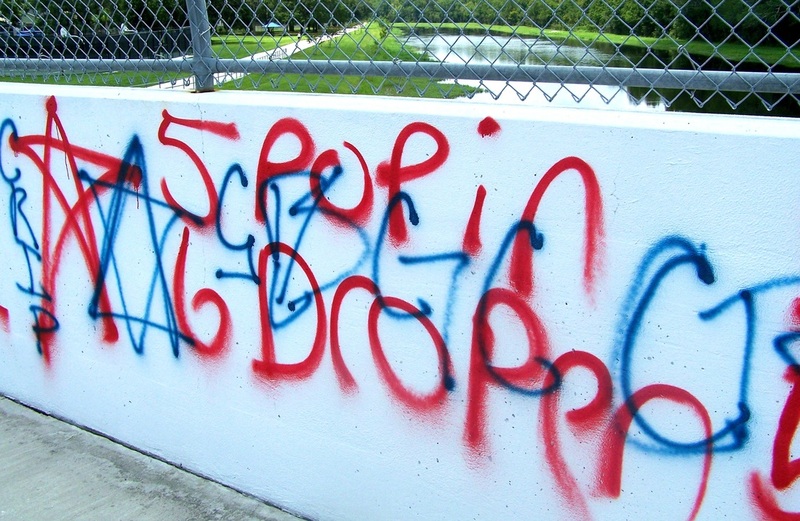 Considered one of the least important crimes on the books; graffiti is more than just an eyesore: it encourages violence, claims territory and advertises their existence or claims “credit” for a crime. Every community no matter its economic or social status has been victim to graffiti at some point and if not addressed will increase your potential for crime and violence while decreasing the quality of life. Furthermore, the United States spends over $25 Billion annually on graffiti abatement. In this eye-opening course, students will learn about the fundamentals of graffiti identification, the potential violence associated with it and the quality of life impact it has on the community. 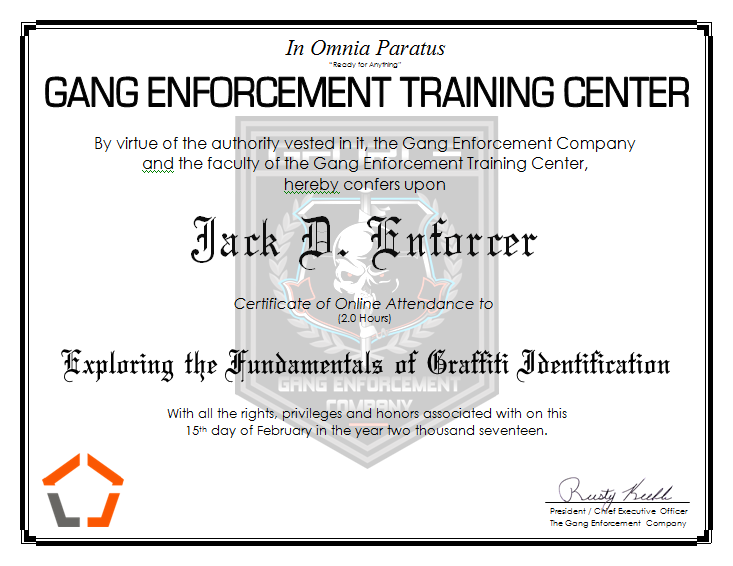 Earn your "Graffiti 101: The Fundamentals of Graffiti Identification" Certificate of Attendance from The Gang Enforcement Company's National Gang Enforcement Academy; today!